Pokemon Gold & Silver were released at the start of this century as the main two titles for Generation II. 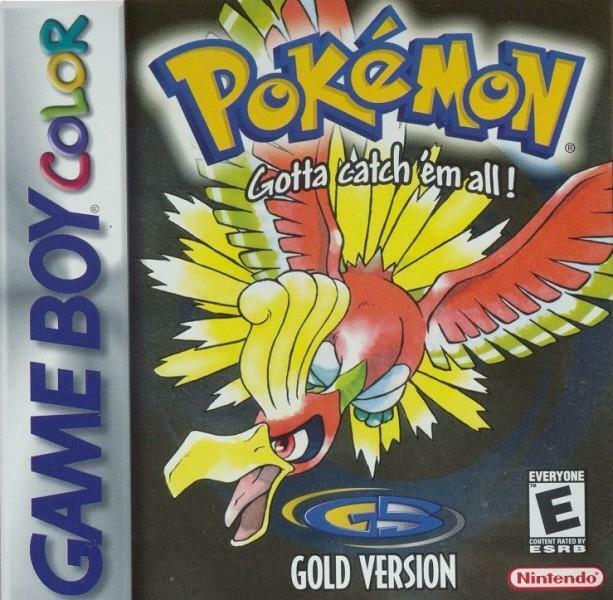 The over expected and hyped continuation to the hit by GameFreak, Creatures and Nintendo, Pokemon Gold and Silver not only reached the expectations of their audience but surpassed them by miles and miles. The success of the games would lead to remastered versions being released on the Nintendo DS years later in the form of Pokemon HeartGold and SoulSilver. 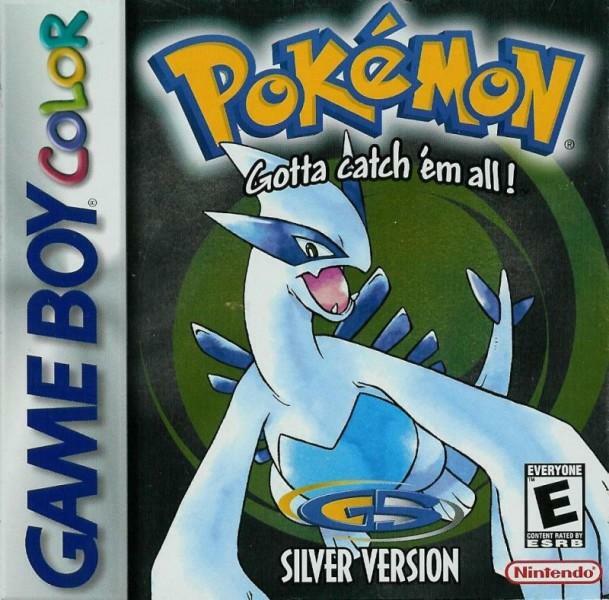 Gold and Silver, or Pokemon GS as it was codenamed by Nintendo, brought many innovations to the series that are now basic foundations to the games, starting by the addition of day and night cycles turning Pokemon into a Personal Life Game with RPG elements dragged from the first part. 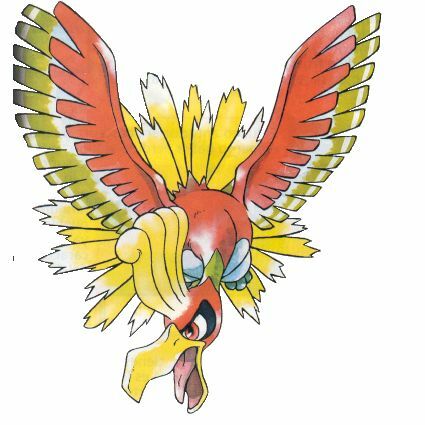 On top of that, GS brought a lot of new places to visit in the form of the Johto Region, 100 extra Pokemon, a plethora of new moves and the addition of the Dark and Steel Types which balanced the somewhat overpowered Psychic type. 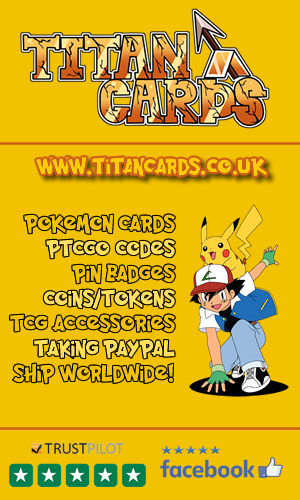 GS also brings in the breeding system, Pokemon genders, Shiny Pokemon and a new set of game rules that make the game more enjoyable than ever before, it also has the Pokegear a staple of the game that still stands strong today. For people who breed Pokemon aside from the chance to make Pokemon eggs from compatible Pokemon couples there are also altered states that help you determine the race and attacks of the Pokemon you are breeding, and the pokerus to raise the individual values of your Pokemon faster. Aside from entering Johto there was also the chance to revisit Kanto after completing the first part of the game and confronting the Elite Four! Alongside all the gym leaders from the first generations, alongside some changes and a storyline to remember. 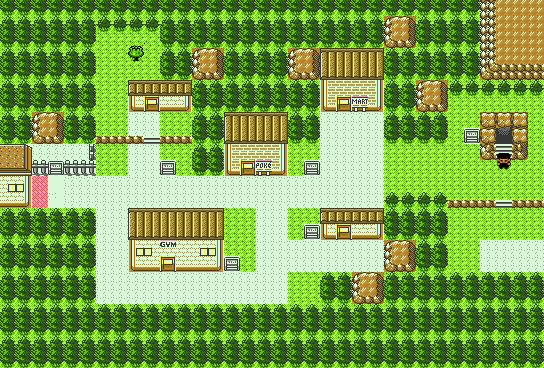 We meet a new protagonist, Gold, who is the player character, starting at New Bark town, alongside a new professor called Elm who provides you with a Pokemon, however after visiting the first city there is a dark character who steals a Pokemon! We meet our antagonist, Silver. 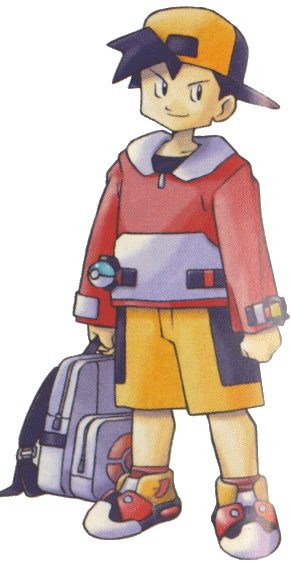 Gold now is on the lookout for Silver and on his own journey to gather all the Pokemon badges in order to become a renound trainer and take on the Elite Four Challenge. 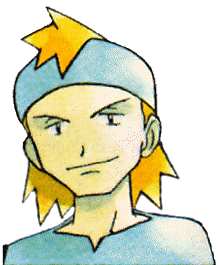 After beating the Indigo Plateau champion, who is no other than Lance, former Elite Four member, Gold is summoned by professor Elm who tells him about the Kanto Region, and then he embarks into adventure to gather all the badges on that region meeting some familiar faces. 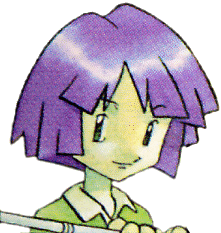 After the last game protagonist Red finished the league defeating Green and becoming the champion, he turned into a recluse, becoming the leader of the abandoned Gym on Viridian which was previously claimed by Giovanni. After defeating the elite four with the 16 badges on, Gold has to face the ultimate challenge, going to the Silver Cave, to face no other than the former Champion Red. This is not all! The Team Rocket members are throughout Johto, and they are still up to no good, working hard to bring Team Rocket back to former glory's. Gold is on the lookout as he tries to gather all the badges to save the Pokémon from the criminal activities of Team Rocket! This is the most interesting feature of GS, since we have 100 new Pokemon and 151 from the last version we have a lot of Pokemon which are hard to obtain or require you to trade with other versions of the game to complete your collection. Mankey, Primeape, Growlithe, Arcanine, Spinarak, Ariados, Gligar, Teddiursa, Ursaring, Mantine. Vulpex, Ninetales, Meowth, Persian, Ledyba, Ledian, Delibird, Skarmory, Phanpy, Donphan. And finally we have Celebi who could be obtained in either Gold or Silver version if you participated in certain official events. There was no way to get Celebi other than via these events. 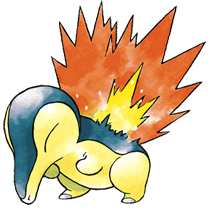 Cyndaquil - the fire type successor to Charmander. It's evolution chain goes Cyndaquil > Quilava and then to it's final form Typhlosion. Totodile - the Water type successor to Squirtle. 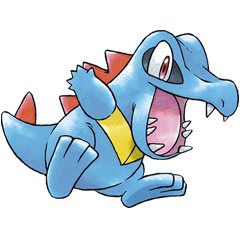 It's evolution chain goes Totodile > Croconaw and then into the fearsome Feraligatr. 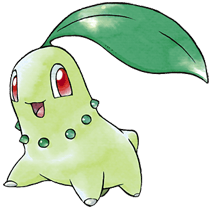 Chikorita, the Grass type successor to Bulbasaur. It's evolution chain goes Chikorita > Bayleef and then finally into Meganium. 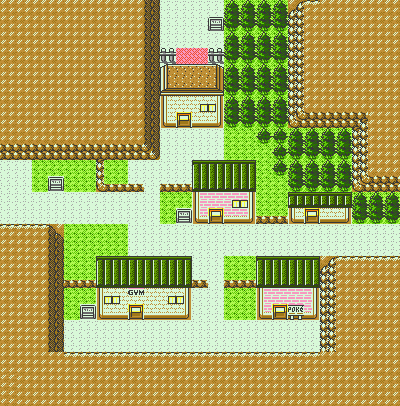 Enter Johto, the true manifestation of a Japanese prefecture; we have places like CherryGrove City, your typical place by the ocean, Ecruteak City, which is a typical Japanese town with old style towers. 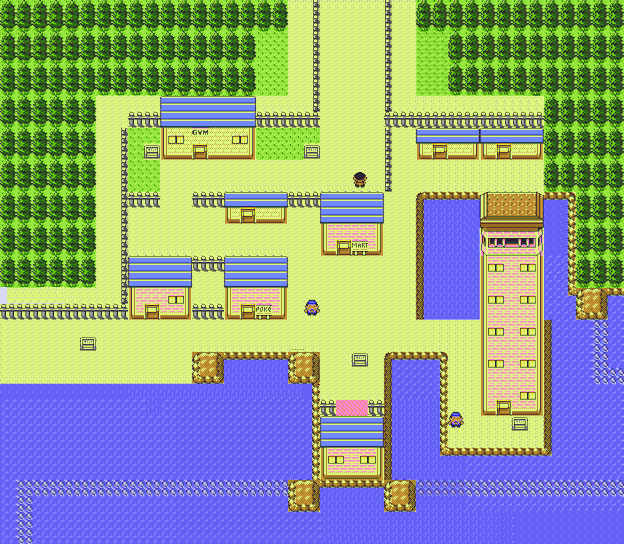 Johto is a great place to visit with many sightseeing places and even a bullet train back to Kanto, in no other place than GoldenRod City, house to a radio tower and the radio shows that are constantly broadcasted. We have places like Olivine City which are seaside, Olivine even has a Lighthouse! 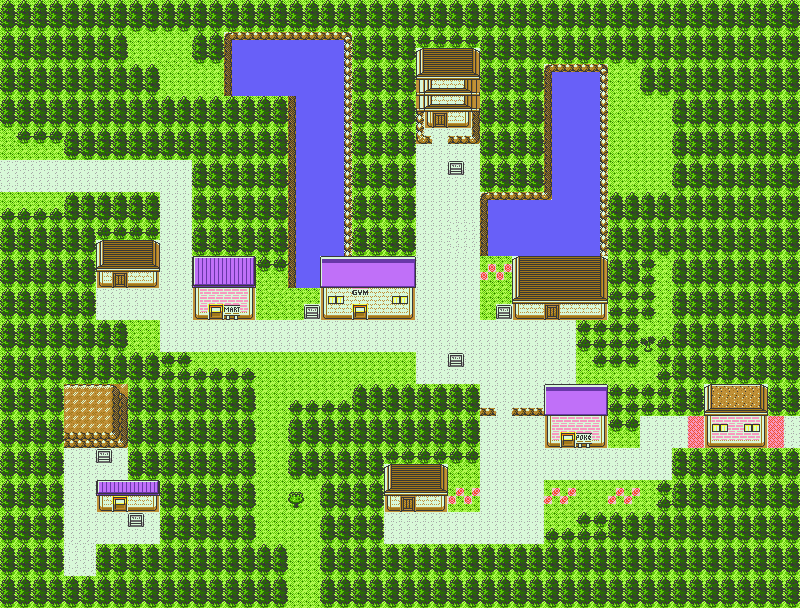 The small town of new winds, just a place to heal your Pokemon and nothing too big… except the start of your adventure in Johto that is. We have the first town where we have a Pokemon Center and a Pokemart, not many things but a good spot for trainers who will catch their first Pokemon. Falkner, the bird trainer heads up this towns Gym. It is a place of old a traditional Japanese town with the Sprout Tower, and the Violet Gym. 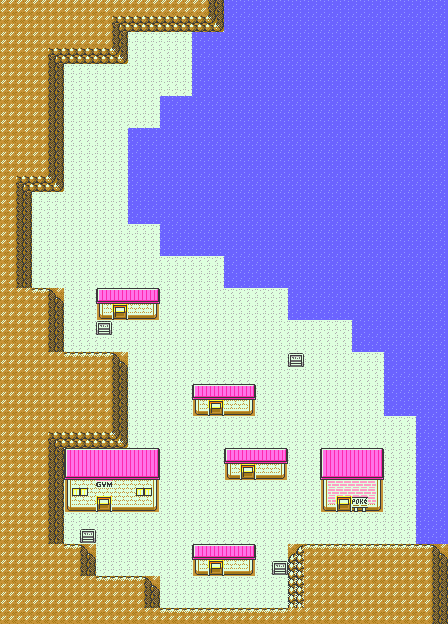 A small town which houses a lot of slowpokes around, a really interesting place which houses the mighty Kurt, maker of Pokéballs. Bring an Apricorn, get a ball. It has the Azalea Gym, house of Bugsy who uses Bug type Pokemon. 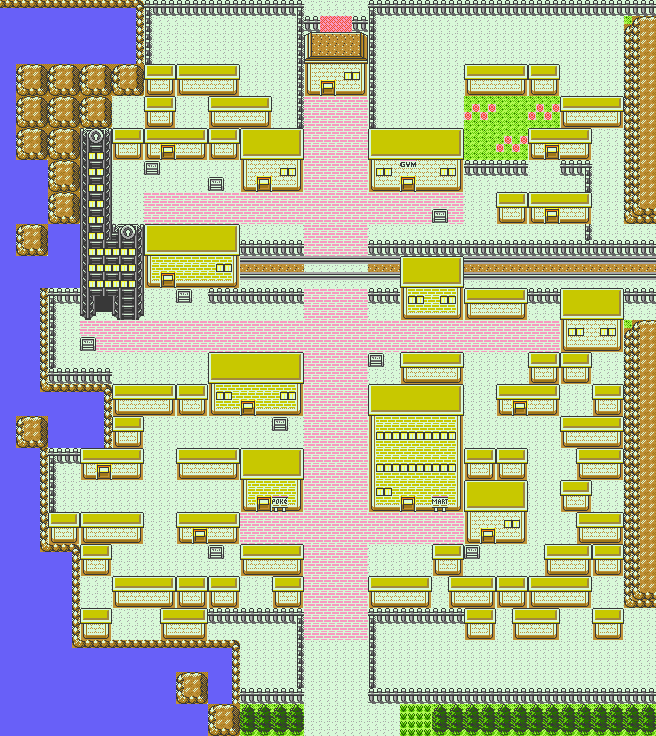 You may notice a suspicious figure on the east side of the map too.. "Prepare for trouble...."
Goldenrod is the big city of Johto, it holds in too many things, Whitney, who uses normal type Pokemon right on the Goldenrod Gym, alongside with The Bike Shop, The Goldenrod Department Store, the Game Corner, The Radio Tower, the Name Rater, an underground Tunnel, the flower shop, a free Eevee at Bills’ place and the Magnet Train Station. There are so many things here you will be coming back to Goldenrod a lot. 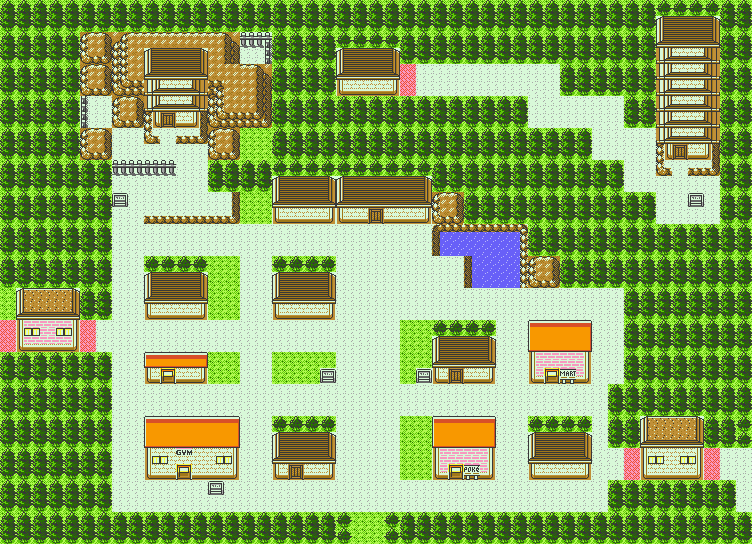 There are many things on this town, Including the Ecruteak Gym which houses Morty, gym leader and trainer of Ghost Type Pokemon. We have the Dance Theater, the barrier station to the bell tower, and the Burnt Tower. There are a lot of legends surrounding this city, alongside the mythical bird Pokemon. 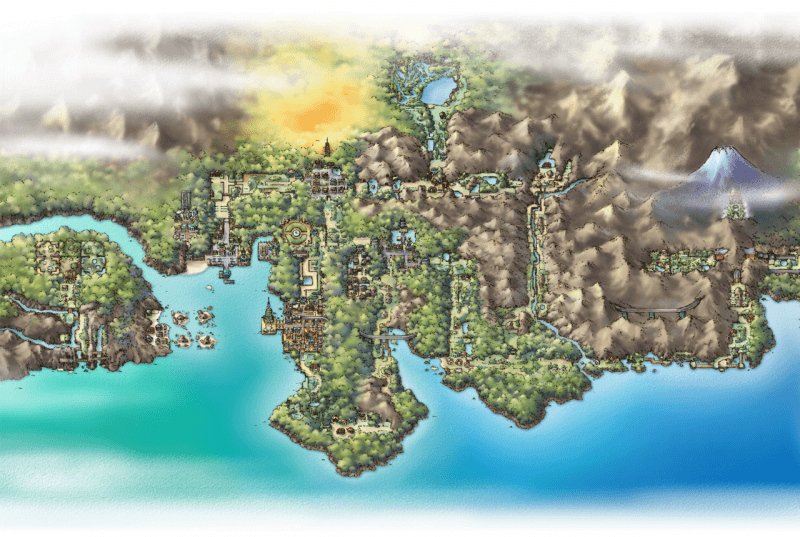 Enter Olivine, the lighthouse city and the one that has the Olivine Gym, house to the mythical Steel-type leader Jasmine. It is also the way to go to Kanto through the S.S. Aqua. It also houses the Olivine Café. Constantly pounded by waves, this coastal city houses the Cianwood Gym, house of the Hot Headed Chuck. Here we have the Photo Studio with lets you print pictures of your Pokemon with its stats. It also has a Pharmacy where you can get bitter medicine that will help your Pokemon but will make them feel less happy towards you. A mythical place surrounded in shadow, Ninjas resided in this place which now holds the evil doers non-other than the Team Rocket! A strategic place which is nearby the lake of Rage. 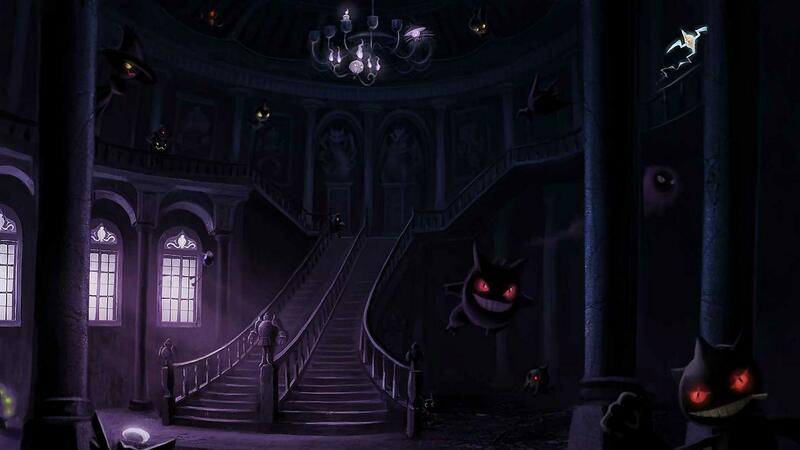 It has the Mahogany Gym which houses Pryce the cold Ice-type Pokemon trainer. 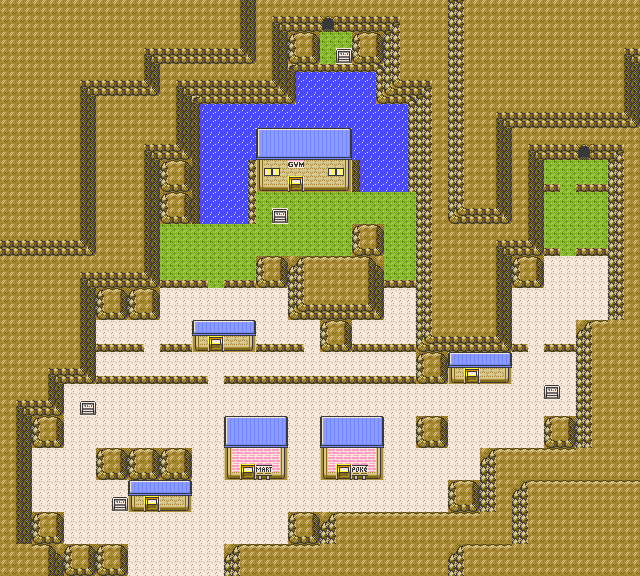 On top of Johto, only being under the Silver Cave, Blackthorn City is the house of the Blackthorn Gym and its leader, Clair, who specializes in Dragon Type Pokemon, The Dragon Den is a wonderful place full of dragons and it also has the Move Deleter and Move Tutor. The whole story of Johto is based on the Pokemon Anime spanning seasons: Pokemon Johto Journeys, Johto League Champions and Master Quest. Team Rocket is up to no good again! Organized by the grunts this time in the absence of their leader Team Rocket is stealing Pokemon and using them for no good at all. We meet them first at the Slowpoke Well to the east of Azalea Town and then take them on at their HQ located south of the Lake of Rage. It's from this HQ that they have been using a device to emit radio waves to modify and alter Pokemon to suit their own sinister whims, a biproduct of this was the creation of the Shiny Gyarados which is available to all trainers on the Lake of Rage. With the help of none other than Lance of the Elite Four you set about to try and end Team Rocket's evildoing once and for all.. 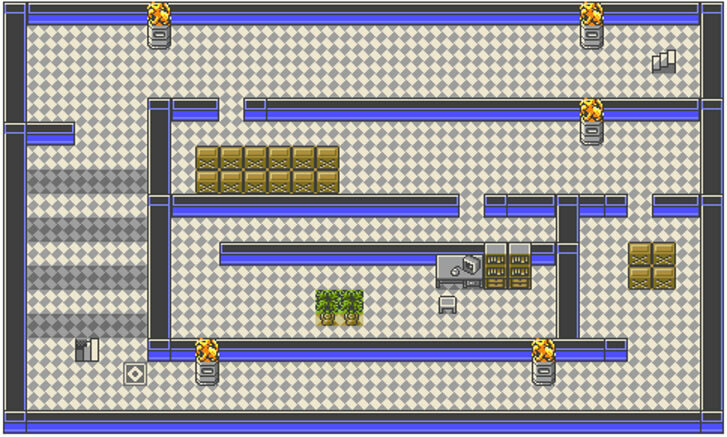 The first level of the basement in Team Rocket's Hideout in Mahogany Town. The gym leaders you will face in the Johto region. 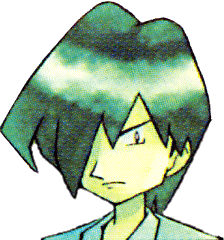 Falkner uses bird Pokemon, the best way to deal with them is either with Rock or Electric Pokemon who will zap down his feathery friends. Falkner's team is a rather basic Pidgey lvl. 7 followed by a Pidgeotto Lvl.9. Defeat him to obtain the Zephyr Badge. "I'm Falkner, the Violet Pokémon Gym leader! People say you can clip flying-type Pokémon's wings with a jolt of electricity... I won't allow such insults to bird Pokémon! I'll show you the real power of the magnificent bird Pokémon!" Bugsy as the name suggests uses Bug Pokemon, burn them down with fire Pokemon or squish them down with fighting moves. Bugsy's team consists of a Metapod lvl. 14, Kakuna Lvl.14 and a Scyther Lvl. 16. Defeating Bugsy will award you the Hive Badge. "I'm Bugsy! I never lose when it comes to bug Pokémon. My research is going to make me the authority on bug Pokémon! Let me demonstrate what I've learned from my studies." Chuck is a fighting Pokemon specialist, bring in anything Flying or Psychic and the fight is won. Chuck's team consists of a Primeape Lvl. 27 and Poliwrath Lvl. 30. Defeat Chuck to obtain the Storm Badge. "WAHAHAH! So you've come this far! Let me tell you, I'm tough! My Pokémon will crush stones and shatter bones! Watch this! Urggh! Oooarrgh! (throws away the boulder besides himself) There! Scared now, are you? What? It has nothing to do with Pokémon? That's true! Come on. We shall do battle!" Whitney is perhaps the toughest cookie to crumble, using Normal type Pokemon. Normal Pokemon are weak to strong fighting moves, so having a Mankey or Machop in party wouldn't go amiss. Whitney's team consists of a Clefairy Lvl. 18 and Miltank Lvl. 20 She will (eventually) hand over the Plain Badge once defeated. "Hi! I'm Whitney! Everyone was into Pokémon, so I got into it too! Pokémon are super-cute! You want to battle? I'm warning you--I'm good!" Morty uses Ghost Type Pokémon, they are weak to few types, Other Ghosts and Dark Pokemon are good against them, although Morty uses the Ghastly evolution chain so anything good against Poison type Pokemon will also help, earthquake is a good move here, or magnitude. Specifically Morty's team includes a Gastly at Lvl. 21, Haunter at Lvl. 21, Gengar at Lvl. 25 and another Haunter but at Lvl. 23. Beat him and he'll hand over the Fog Badge. "Good of you to have come. Here, in Ecruteak, Pokémon have been revered. It's said that legendary Pokémon will appear to the truly powerful trainers.GS/It's said that a rainbow-colored Pokémon will come down to appear before a truly powerful trainer. I believed that tale, so I have secretly trained here all my life. As a result, I can now see what others cannot. Just a bit more... With a little more, I could see a future in which I meet the Pokémon of rainbow colors. You're going to help me reach that level!" Jasmine is a shy girl who struggles to speak. She is also shown to be compassionate as when the Ampharos at Glitter Lighthouse falls ill Jasmine worries so much she loses her ability to smile. She is a steel type Pokemon trainer nicknamed "The Steel-Clad Defense Girl. ", use Fire Type pokemon, but keep in mind that Steelix is also Ground type, so using a Ground pokemon like Marowak would help a lot. Dugtrio is good too as it is faster than all of her Pokemon. Jasmine's team includes a Magnemite Lvl. 30 (two of them actually) and a Steelix Lvl. 35. Once beaten Jasmine will yield the Mineral Badge. "Thank you for your help at the Lighthouse... But this is different. Please allow me to introduce myself. I'm Jasmine, a Gym Leader. I use the steel-type. ...Do you know about the steel-type? It's a type that was only recently discovered. ...Um... May I begin?" 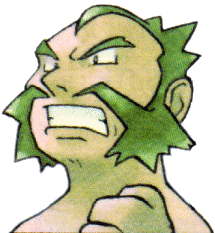 Pryce uses Ice pokemon, however their last Pokemon is a Piloswine. Piloswine is half ground so fire moves are not as effective. Your best bet is to bring electric and ground Pokemon here. Pryce's team contains a Seel Lvl. 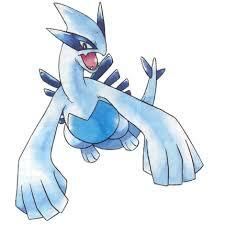 27, Dewgong Lvl. 29 and Piloswine Lvl. 31. Pryce will give you the Glacier Badge once defeated. "Pokémon have many experiences in their lives, just like we do. I, too, have seen and suffered much in my life. Since I am your elder, let me show you what I mean. I have been with Pokémon since before you were born. I do not lose easily. 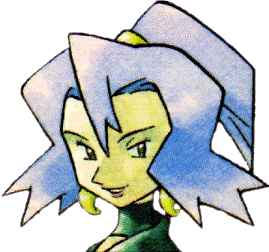 I, Pryce--the winter trainer-- shall demonstrate my power!" Clair uses Dragons, Dragons are weak against Ice Pokemon and other Dragon Pokemon, but her last Pokemon is a Kingdra. Using a Grass type Pokemon would be way better than just an ice type. Meganium would do the trick quite nicely for example. Specifically Clair's Team comprises: Dragonair Lvl. 37 x3 and a Kingdra Lvl. 40. Defeat Clair and pass the Dragon's Den Challenge to recieve the Rising Badge. "I am Clair. The world's best dragon master. I can hold my own against even the Pokémon League's Elite Four. Do you still want to take me on? ...Fine. Let's do it! As a trainer, I will use my full power against any opponent!" Upon defeating the elite four in Johto you get the oppurtunity to return to the Kanto region and face their gym leaders once more. They've grown stronger since you last took them on. 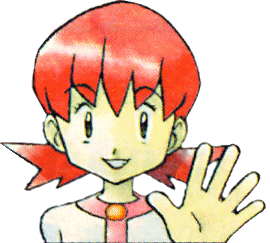 Two of the gyms have also changed hands since you last visited Kanto; Koga has left the Fuschia Gym in the capable hands of his daughter Janine and the Viridian Gym has since acquired a new occupant after the defeat of Giovanni in the first games. Brock returns! And he still has still the same arsenal as before but has become more powerful. He still uses Ground type Pokemon mostly, but the type duality may surprise you! Omastar and Kabutops are Rock types too. Misty now has a strong Lapras by her side, still using Water Pokemon make sure to zap them, except for its Quagsire, a grass Pokemon is better suited for the job, but nothing poisonous!!! The lightning American! Quick and Simple, Surge is still a strong contendant with his team of electric Pokemon, be wary of his Magneton who is also a Steel Type, so use Ground types to your advantage. Erika is good at dancing, making tea, and raising plants that will end your Pokemon if you aren't careful. All of their Pokemon are either Grass or poison types so a Fire pokemon will do the trick. Janine? Where is Koga? Just like her father she uses Poison type Pokemon and snaring techniques, a Ground Pokemon will do the trick but avoid Psychic types as they are really effective but one of them is a bug! The living nightmare of the first generation, Sabrina and her psychic Pokemon are frightening but now they are easier to deal with, bring a dark type pokemon for an easy win, or bring a bug to build up a strategy and defeat her. Blaine, the hot headed quiz master, show off your Pokemon knowledge and then defeat Blaine with a single water Pokemon or a trusty ground Pokemon. Blue, the rival of Red is at the Viridian Gym, he doesn’t specialize with any Pokemon type so just be ready for anything! Expect a strong, balanced team. Housed at the indigo plateau, the big four heavenly kings are waiting for any challengers who want to become the Pokemon Champion. Will trained all around the world for many years and was finally accepted into the elite four. Will uses Psychic type pokemon, he has a full variety of Pokemon so be ready for anything, all of them are dual typed so try to use dark type pokemons to your advantage. Specifically Will's team comprises a Xatu Lvl. 40, Exeggutor Lvl. 41, Slowbro Lvl. 41, Jynx Lvl. 41 and a Xatu Lvl.42. Koga used to be the leader of the Fucshia Gym, leaving his clan he pursues his dream to be a Pokemon master and finally becomes an Elite Four member. Koga takes his part using not only poison type Pokemon but also uses Pokemon with strategies to weaken your Pokemon for the next battles. Make sure to bring a ghost Pokemon so Koga can miss with its self-destruct strategy. Koga's Team: Ariados Lvl. 40, Venomoth Lvl. 41, Forretress Lvl. 43, Muk Lvl. 42 and Crobat Lvl. 44. Bruno has always wanted to fight the very best, used to be the second in line on the elite four and then ranked up, now he is the third in line to face. All his Pokemon are fighting Pokemon but an Onix, not hard to deal with but it may be troublesome if you don’t have a decent Psychic type on your team. Bruno's Team contains an impressive lineup of Hitmontop Lvl. 42, Hitmonlee Lvl. 42, Hitmonchan Lvl. 42, Onix Lvl. 43 and Machamp Lvl. 46. Lance has returned, he has a gameshark and he is not afraid to use it. You will be surprised to find an Aerodactyl with rock slide. Just fight your best with ice pokemon and you will be alright. Specifically his full team includes: Gyrados Lvl. 44, Dragonite Lvl. 47, Charizard Lvl. 46, Aerodactyl Lvl. 46, Dragonite Lvl. 47 and Dragonite Lvl. 50 - ouch. GS had a wonderful Link battle system which adds new rules based on Pokemon Stadium. Using a Link Cable two people can link to trade or battle. It also featured a time machine that would allow you to trade certain Pokemon back to Pokemon Red, Blue, Yellow or Green. It is also compatible with Pokemon Stadium 2 to battle, trade or archive pokemon. Additionally both Pokemon Gold and Silver are compatible with the Game Boy Printer which allows the printing of Pokedex entries, mail and storage boxes amongst other things. Pokemon Gold and Silver got 600,000 preorders in the first two months. Nintendo released 3 million copies on the first shipment and by 2010 they ended up selling a combined 23 million units. IGN's Craig Harris gave the games a 10/10 Masterpiece rating and commented "The next generation of Pokemon is finally here in the states, and boy, was it worth the wait.". Gamerankings.com aggregate scoring is an impressive 91.35% over 23 reviews. Nintendo power scored the games an impressive 8.7 out of 10. Gamespot's Frank Provo scored the game a 8.8/10 and commented "You really can't go wrong with 251 monsters, two main adventures, countless side quests, and a baseline of 60 hours of gameplay." Check out these videos relating to Pokemon Gold and Silver versions. The videos include TV Commercials, Trailers and more. The official trailer for Pokemon Gold & Silver's re-release on Nintendo 3DS Virtual Console. A TV Commercial for Pokemon Gold, Silver and Pokemon Stadium 2. A TV Commercial for Pokemon Gold & Silver aired in the USA. A TV Commercial for Pokemon Gold & Silver themed toys and figures by Hasbro. 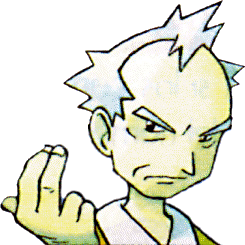 - You can’t get a Generation 2 Pokemon from in-game trades. So if you need one of those you’ll have to find a friend. - Unlike Generation 1, Gold and Silver use Legendary Pokemon as their mascots, another staple of the series. - If you feel the song on the bicycle is familiar its because it’s the Goldenrod City theme sped up with different instruments. - Don’t bother burning, paralyzing or poisoning wild pokemon to catch them easier, there’s a glitch on the game which doesn’t let this happen. - Lance is a cheater, his Aerodactyl knows rock slide, they can’t learn rock slide! - Also, he has a level 47 and 50 Dragonite, which is impossible as dragonite evolves at level 55. - Love Balls are pretty interesting, because there is a glitch that raises catch rate to 8x if you are trying to catch a Pokemon of the same species and gender as the one you have on your party, ahead of its time huh? 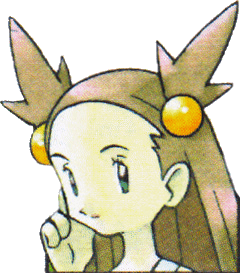 - The game code for Pokemon GS has an item called ‘Sweet Honey’ something that didn’t appear until generation 4. - Pokemon GS were planned as the last Pokemon games! - Whitneys’ gym is shaped like a clefairy. - Red and Blue were never released in Korea, but the Korean version of Pokemon GS is time-capsule friendly and compatible.